Ah… Playing video games for money – the Holy Grail of almost any guy’s life. 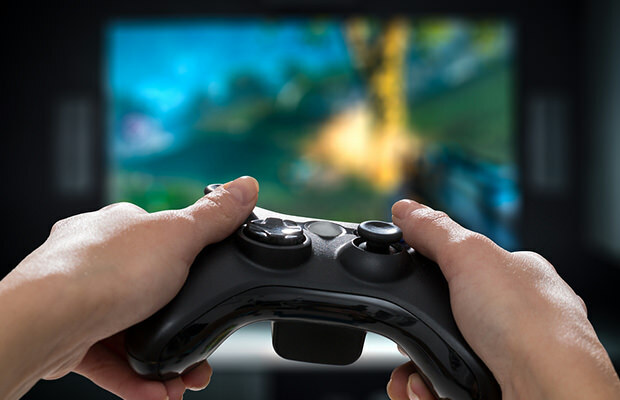 It’s the kind of job most of us dudes (and some chicks as well) would immediately ditch our existing careers and shift to doing just that – playing video games. Some of us already have pretty cool jobs, I mean, writing about these cool topics for a living is a pretty good deal, but one thing is certain though – I would shift to playing video games as a vocation in an instant. And that’s what Ryan Hart did. Ryan knows what it is like to make loads of money pressing buttons on his controller. This lucky dude is an expert in fighting games and is currently one of the most successful players in the history of eSports. And for his favorite game and the one he specialized in? Street Fighter! Ryan won his first tournament back in 1996 and soon got a sponsorship deal to play games for money. Ever since that faithful year of 1996, Ryan has been traveling across the globe and competing in gaming tournaments both as a solo player and with his eSports team. As a multi-time champion, he’s holding national, European, and world titles. Folks over at AskMen have recently been talking to Ryan and caught a little glimpse into the life of a pro gamer. So, all of you who have been wondering if it’s actually possible to make money from playing video games and hitting those buttons, here’s Ryan explaining everything you need to know about becoming a pro gamer. According to him, the trick is to gradually earn your place in the big leagues, and to never start out trying to be the best gamer in the world. “If you want to get into gaming seriously, it shouldn’t be a desperate quest to become the very best. It should be an enjoyable journey. You can chase success when you get to a certain point. But first, just find out what you enjoy and take it from there. Look at the intricacies of the game you want to get good at. Look at the players who are winning, the players that are losing, and make sense of what they’re doing. Join forums, become a part of the community. Ask questions and learn that way. For the most part, just have fun,” says Ryan.